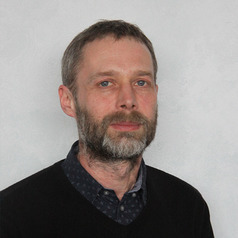 Peter Lucas is course leader for the BA (Hons) Philosophy, and associated Combined Honours Philosophy programmes. Peter holds a BA in English and Comparative Literary Studies from the University of Kent (1986), an MA in Values and the Environment from Lancaster University (1994 – awarded with distinction), and PhD in Philosophy also from Lancaster University (1998). His PhD research was funded by a three-year British Academy Studentship (1994-97). He taught philosophy at Lancaster University and Bolton Institute (now the University of Bolton), before coming to UCLan in 2002. Peter’s PhD research focussed on the concept of objectification, and its potential applications in our treatment of the non-human world. He has subsequently explored various aspects of the relationship between knowledge and ethics. This has included questions of research ethics and the ethics of emerging technologies, but has also extended to areas in which the object of knowledge and the subject of moral obligations become difficult to distinguish - for example, in the social sciences and biosciences. Peter has published articles and book chapters in the areas of applied ethics (especially environmental ethics), professional ethics, philosophy of the social sciences, and the philosophy of communication. He also has a recently-published book: Ethics and Self-Knowledge: Respect for Self-Interpreting Agents (Springer, 2011). Peter is a fellow of the Higher Education Academy and a life member of the British Philosophical Association.